The kidneys are the most important detoxifying organs in the body, and their role is to eliminate waste from the body through the urine. “Being kind to your kidneys is a vital part of maintaining overall good health. If you don’t eat a balanced diet, drink clean water, and cleanse your body of toxins that build up, it can negatively impact the function of the kidneys, liver, and other organs. Poor kidney health can also lead to kidney stones. A kidney cleanse is a beneficial method that improves the function of these organs, and thus prevent kidney infections, and other health issues. Bloating can also be a result of accumulated toxins and waste in the body, so a kidney cleanse will treat it. If the function of the kidneys is impaired, one experiences fatigue, as the body faces difficulties to process certain foods. Waste and toxic buildup in the kidneys can cause infections, and a kidney cleanse will help you relieve them. Bladder issues are often caused by toxins and waste in the kidneys. 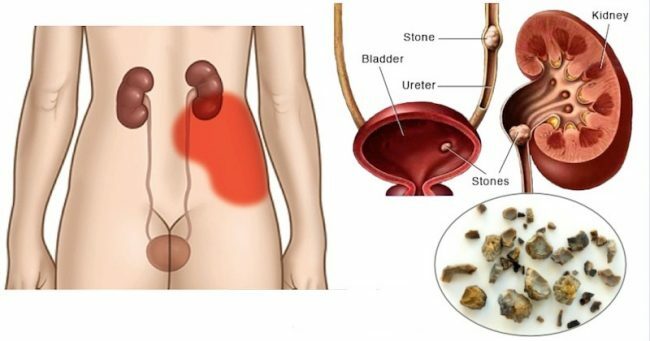 Kidney stones are usually a result of the accumulation of fats, but if you cleanse them, you will reduce the risk of developing painful kidney stones. When the kidneys cannot filter the toxins from the body, one often experiences from acne, eczema, and rashes. The impaired function of the kidneys raises the risk of hormonal imbalances. In most cases, kidney cleanses last for about 5 days. You can choose to perform a juice fast for 5 days, or follow a raw fruit and vegetable diet on days 1 and 5 and fast on juices for days 2, 3 and 4 of the cleanse. Juice the lime and lemon, mix with water and sweeten with honey. Add a bit of cayenne pepper, and drink this juice to start your day. Remember to always juice the watermelon rind as well, since it breaks down stone calcifications in the kidneys. Cut the watermelon into chunks, and juice them with the lemon. Wash the ingredients before use, and place them in the juicer. Juice them and serve. Wash the ingredients, juice them, and drink this juice instead of one meal during the day. This juice prevents the formation of kidney stones and detoxifies the kidneys. Watermelon is a potent natural diuretic, and its rind breaks down kidney stones. Celeriac is rich in nutrients, many of which cleanse the kidneys and boost their function. Asparagus has powerful diuretic and alkaline properties that prevent and dissolve kidney stones and breaks up oxalic acid crystals. Herbs and spices can be of great help when trying to cleanse the kidneys. Turmeric and ginger are among the most powerful ones since they are rich in antioxidants that improve the function of the kidneys, fight inflammation, and prevent infections. “Drink more water – go the super natural way and drink eight or more glasses of water every day. Eat less refined foods – eliminate refined foods and high sodium foods. Drink apple juice – consume three gallons of apple juice and three gallons of water a day. Have a lemon drink – try drinking a mix of two tablespoons of lemon juice, two tablespoons of maple syrup, a tenth of a teaspoon of cayenne pepper, and one-two cups of pure water. Eat watermelon – Eat as much watermelon as you can throughout the day. Try the juice recipes we suggested above and consume these foods, and you will significantly detoxify the kidneys and boost their work.